Sushi Mizu offers a variety of sushi, sashimi and special rolls that will satisfy any foodie. Are ShopRite California rolls just not satisfying your taste buds any more? Are you a sushi lover looking for new places to try? This article will advise any sushi enthusiast on the premier sushi locations of Hopkins’ hometown. Though it is a bit of a drive from central New Haven, Koi Sushi is a staple sushi bar for all sushi connoisseurs. The notable all-you-can-eat array of extremely fresh fish is complemented by kind staff and a warm atmosphere. The restaurant’s stellar sushi is undoubtedly worth trying, but a smart spender should be aware of the pricing. Per person, lunch prices are far cheaper than the dinner prices, so make sure to eat here before it gets dark, because the bill will definitely add up. Located near Yale, Anaya Sushi is an exciting and bustling eatery, ideal for a gathering of friends. The friendly atmosphere makes the whole experience really enjoyable. Although the parking is somewhat lacking, it is a close walk for Yale students and New Haven locals. As you approach the seemingly tiny restaurant, you are greeted by an outdoor menu and some upbeat Japanese music (though in our humble opinions, K-Pop is definitely preferred). 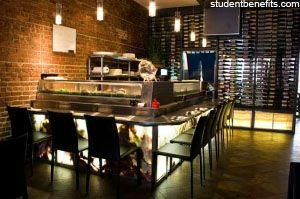 Inside, you are welcomed by a small sushi bar and a long table complete with wooden stools. The rainbow roll is a crowd favorite. Consisting of soybean paper, yellowtail, tuna, salmon, kani, cucumber, and, of course, rice, the roll is a perfect light meal. If you’re looking for a quick bite (Did we say quick? The service is actually pretty slow), head on over to Anaya Sushi. Kumo Hibachi may not seem like a destination site for sushi, but a quick stroll past the Teppanyaki grills and a sharp right will lead you directly to the sushi bar. Kumo is the spot to visit for amazing special rolls. Once you sit down, you are welcomed by affable, hospitable, and talented chefs eager to make conversation and to make you feel at home. A quick glance at the glowing rainbow “daily specials” board will advise any unsure customer of possible dishes to order. Kumo’s best-selling dish is the dynamite roll: lobster tempura filled with mango, wrapped with pink soybean paper, and topped with spicy tuna. The scrumptious dishes may leave you in a food coma, so, luckily, the management calculates the tip for you. We do so much math during school - why do more when you’re just trying to eat sushi? Overall, Kumo Hibachi has amazing sushi and, by far, the best staff. Looking for refreshing sushi at great prices and willing to brave a less popular area of town? Sushi Mizu is the place for you. A walk on the less-traveled path presents an uncrowded restaurant with unbeatable prices at just over five dollars a roll. The friendly two-person staff and absence of heating seals the deal. The spicy tuna roll is one for the record books, ringing in at less than six dollars and satisfying all of your cravings. You know the chefs are dedicated to their jobs when they neglect proper heating to make your sushi at just the right temperature. Out of the four places, you will get the most bang for your buck out of this one. Sushi Mizu is great for quick sushi at low prices. The Japanese cuisine of New Haven has so much to offer. A taste of these delicious rolls will give you a sample of the varied culture of the city. What better way to connect with your town than to eat? We wish you well on your sushi endeavors. Koi Sushi: 185 Main Street, East Haven. 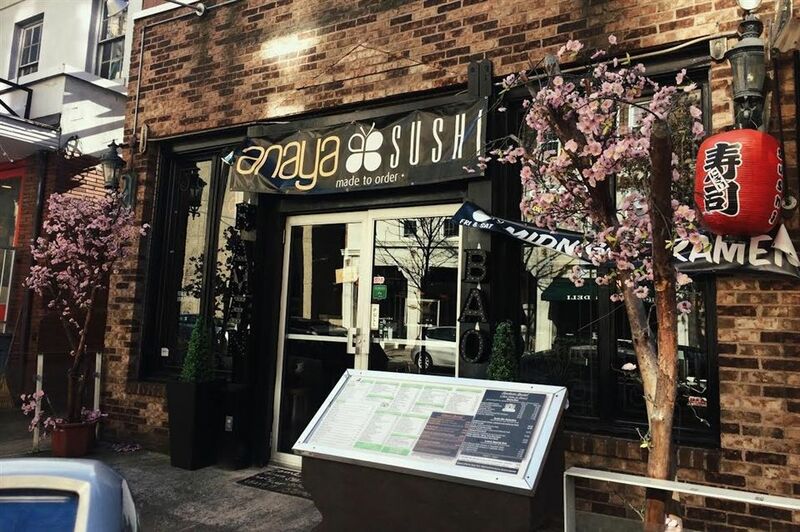 Anaya Sushi: 1150 Chapel Street, New Haven. Kumo Hibachi: 7 Elm Street, New Haven. Sushi Mizu: 47 Whalley Avenue, New Haven.